Princess party in Gruene, Texas. 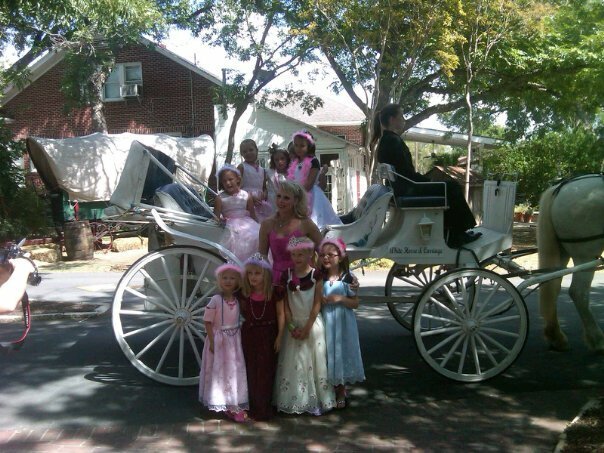 There's no better way to let your daughter be a princess for a day than by having a beautiful white horse and carriage pull her and her friends around. They'll feel like superstars as they ride in style. If you want to make her day even more special, we can sprinkle some fairy dust on our horses before the party and turn them into unicorns! Contact Us for more information about our princess party options and see which one works best for you.